Yesterday marked the dawn of a new era of Turbo Bocce … the indoor era! Unlike the fully developed and extremely popular outdoor league, this indoor iteration is bound to be a continually adapting work in progress for a while … but that doesn’t mean we can’t have a lot of fun on the journey (just like we did in the early days of the outdoor league!). Have more fun in 2018! Syracuse’s most social sport is back in January with our unique brand of creative and fun league play. Where: All Star Alley in Destiny USA, 3rd floor canyon area. Here’s how it works, sign up to join the league, then join us alone or with a partner (either way we’ve got you covered!) to learn how to play this fun game that’s easy to learn! No experience necessary! AND AS AN EARLY CHRISTMAS PRESENT OUR SPONSORS ARE PAYING YOUR LEAGUE FEE FOR YOU IF YOU SIGN UP NOW! As bocce season winds down, its time to give out the final triple crown standings for 2017. 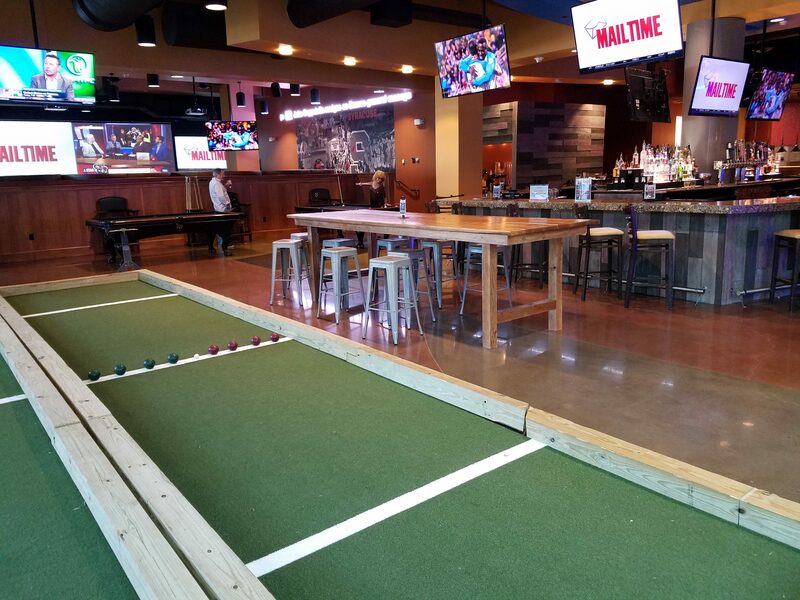 The triple crown of bocce consists of the three biggest and most competitive annual bocce tournaments held in Syracuse, and is comprised of a one on one tournament, a two on two tournament, and a four on four tournament. The first triple crown event was the one on one tournament held Saturday July 16th. HERE is a recap if you don’t remember much about it. Celebrate our independence and the the first day in Turbo Bocce history that ride sharing will be available! By way of celebration we will be drinking our faces off, but in a safe way; meaning anybody who promises not to drive home gets free drinks! We will also be celebrating America’s independence with patriotic music (think Hamilton!) and sparklers! Oh and bocce, of course!